Smart Home & Business Owners Have an Emergency Plan. Whats yours? Are you positive that your plan will ENSURE continuity during a power loss? With the marked increase of violent weather patterns and unpredictable outages it has never been more important to have a contingency plan. A good contingency plan is much more than simply a generator for your home or business. A smart and functional plan considers all critical infrastructure. A power outage at home can mean anything from a minor inconvenience to loss of heat, air conditioning, water, food spoilage, economic loss just to name a few. A power loss at your business can bring your workday to a standstill, place a significant strain on your operations, cost a significant amount of money & send employees home. Not to mention, a power loss will never call ahead to let you know that its coming. And rest assured that it won't be on a beautiful day in the middle of summer. Smart home & business owners are aware that our very existence depends on a reliable electrical grid. A business needs power AND to thrive and produce income. Loss of power is no longer acceptable. Have you considered how you would handle your operations at home or your business if the power were to be out for three days, three weeks, three months longer? Think for a moment if you will, how interdependent EVERYTHING is on power. We will evaluate your home or business based on four areas of preparedness and provide recommendations based on years of practical experience in dealing with these situations. We provide a comprehensive and unique approach to assessments through our use of experienced resources in Power Generation, IT & Telcom, Business Management, Emergency Management, Law Enforcement, Fire & EMS professionals. 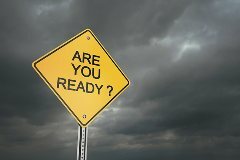 Remember, it’s not a question of IF it will happen again ( we KNOW it will), the question is WHEN will it happen again and will you be prepared? Call us today for more information (585) 224-4000.